"I've been receiving anonymous calls and messages asking me to keep my mouth shut. I tell them that no amount of threat is going to stand in my resolve to fight for my country.."
Bobi Wine speaks out - Blasts were heard two days ago, I called in police, but they could not establish anything and just last night, three blasts were heard and the window to my son's bedroom was shattered. It all happened in the wee hours of Tuesday morning, to be exact at 1:30am. A damaged wall and broken glass is part of the damage after the explosion that has left the legislator not being part of the red ribbon campaign that the former FDC leader announced last week. The Kyadondo East member of parliament adds that no one was hurt, but I can't say we are safe.. I've been receiving anonymous calls and messages asking me to keep my mouth shut. I tell them that no amount of threat is going to stand in my resolve to fight for my country. They were three grenades that were thrown and that was at about 1:30am. I have reported the matter to police and registered my complaint and that is all I could do, they are yet to get back to me. God is my best protection as of now. Asked about what he thinks of his security, this was his response; People with much bigger security have been killed in broad daylight. For now, I will ensure the security of my family. At the time, he was standing with his daughter. Investigators have collected some particles from the crime scene and police is expected to address these developments. A few days back, Hon. 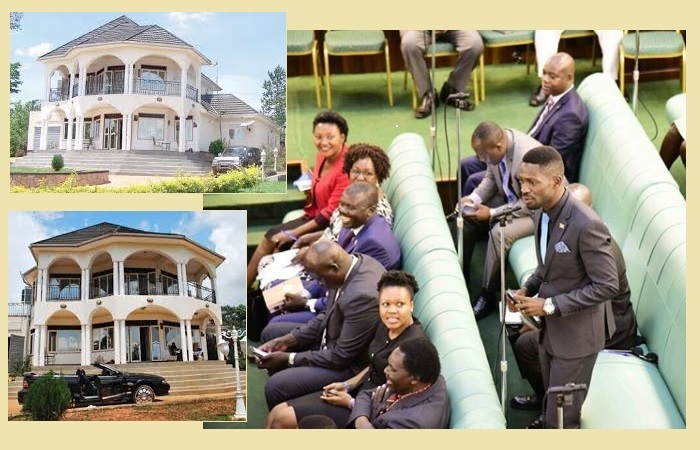 Kasibante's home had a similar scene and another MP, Allan Sewanyana, through his wall is having similar complaints of a grenade attack which happened around the same time with the explosion at Bobi Wine's. Hon. Sewanyana says two blasts went off at his home at 1:20am. He also adds that two days back, there was a similar blast around his home. "I think it's a planned move," Sewanyana concluded.